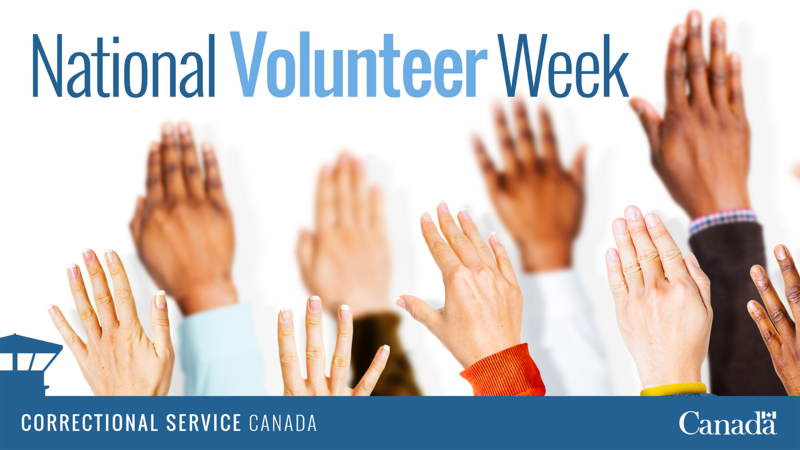 National Volunteer Week offers an opportunity for CSC to celebrate the contributions of the thousands of dedicated volunteers that work with us across Canada to change lives. Volunteers are an integral part of many offenders' lives, as they contribute to a variety of institution-based programs including chaplaincy, recreation activities, classroom and workshop instruction, social events and cultural activities. Volunteers in our institutions bring the community to the correctional environment. Their work provides a bridge to help offenders safely transition from incarceration to rehabilitation. They also support families of incarcerated offenders and help released offenders re-adjust to life in the community. Every year during National Volunteer Week, we honour one exceptional volunteer by awarding him or her the Taylor Award. The Taylor Award has been presented annually by CSC and the National Volunteer Association since 2001. The award is named after Dr. Charles Taylor and his wife Charlotte for their lifetime dedication to faith-based counseling with offenders in correctional facilities and in the community, and for Dr. Taylor's contribution to the development of prison ministry education. There can only be one winner, but there are many committed volunteers across Canada that deserve our recognition and thanks. 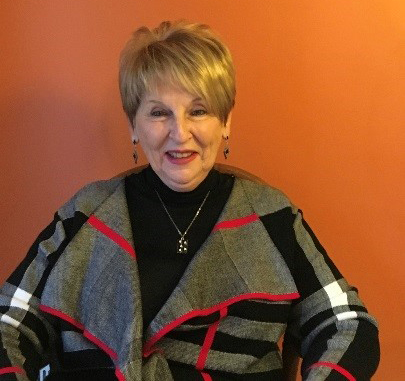 In that spirit, we would like to introduce all three nominees for this year’s award, from East to West: Rachel Cabana from the Quebec Region, Drs. Colleen Dell and Darlene Chalmers of the Animal Assisted Therapy Team in Prairie Region and Lucas Yang from the Pacific Region. Congratulations to all, and thank you! Rachel Cabana has been volunteering with CSC and the Corporation Jean-Paul Morin, a social reintegration organization working to help federal inmates and their family and friends, for 15 years. She mentors and educates offenders about the importance of being responsible in life and of giving back to society, and works directly with their loved ones in the community to help them prepare and support their reintegration efforts. Rachel is active in building bridges in the community, promoting restorative justice, and educating society about welcoming and respecting marginalized people. Thank you, Rachel, for your exemplary commitment and dedication to helping offenders and their families! 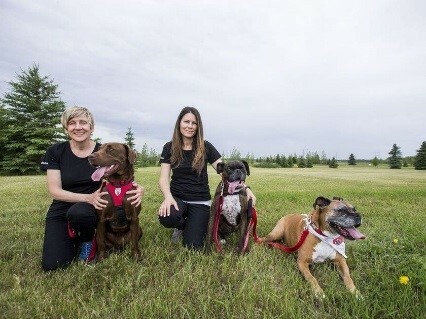 Dr. Colleen Dell and Dr. Darlene Chalmers, who are researching the human-animal bond and how it can support therapeutic intervention, along with animal assisted therapy dogs Subie, Kisbie, Annabell and Ruby, make up the Animal Assisted Therapy Team. The participants of this program report that it reduces distress and loneliness and provides comfort, hope, and connection. Those who felt rejected and forgotten in prison are amazed that these volunteers and dogs show so much genuine interest and compassion, and are often inspired to reengage with family and other supports as a result of the positive connections they made in the program. Thank you, Animal Assisted Therapy Team, for your dedication to supporting patients in their healing! 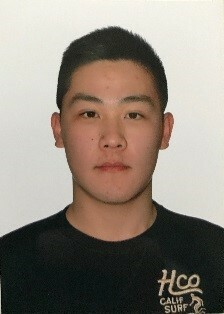 Lucas Yang volunteers with offenders in Community Residential Facilities, helping them become contributing members of the community. He provides emotional support to offenders and creates opportunities for them to build self-confidence and take ownership of their responsibilities. For the past two years, Lucas has been part of a team that provides support, life skills and assistance with meeting the housing needs of lower functioning offenders whose cognitive capabilities are impacted by brain injury or Fetal Alcohol Spectrum Disorder (FASD). He works to empower them in their daily lives. Thank you Lucas, for your enthusiasm for the work you do and the value you place on the lives of others!